Practice the perfection of virtue. Bring your mind fully under control. Many people think, I’m just fine, I don’t need to change. As long as we are someone wandering in samsara, however, none of us are completely faultless; and we all definitely need change and transformation in our lives. A controlled mind is virtuous. A controlled mind is happy. Thus, bringing our inner mind under controls is the real root of Buddhism. That is why it is called Nang-pa—Inner—in Tibetan. Even the name, ‘Buddha’, does not exist. Arose in dependence upon a Guru. Buddha is the unexcelled Teacher who reveals to us the path of inner development. The path is the holy Dharma that Buddha taught. The Sangha can be anyone, lay or ordained, who has entered into that path. You must take yourself on the path. But understand! Liberation depends on you. By showing them the reality of nirvana, beings are liberated. Buddha often said this kind of thing. To give an easily understandable example, Buddha is like a fully qualified doctor, Dharma is the medicine, and Sangha are the nurses. We are like a sick person. If we are like a sick patient, unable to get well, we can’t accept just anyone as our doctor. We, as the sick patient, must also take our medicine on time and pay careful attention to our diet and lifestyle following the doctors orders in order to heal ourselves; it depends upon us putting their instructions into practice. Like that, Buddha tells us that Liberation depends on us and that if we practice according to Buddha’s instructions we also have the full potential to attain Buddhahood. Buddha tells us that we will one day become our own refuge and protector, that we need not seek a refuge somewhere else. It will all become meaningless. We will continue our meaningless wandering about. Our wandering in samsara happens because we have taken a mistaken path, because we have not recognized our own mind from the very start. Ignorance and its retinue, the delusions of attachment, aversion, jealousy, pride, and so forth, are what cast us into suffering without freedom. Who casts us into suffering? It is ignorance that casts us into suffering. Where are we cast? Into the places of suffering of the six lifeforms. When are we cast there? From beginningless time up to the present. Who is it that is cast into suffering? All sentient beings of the six types. What happens once we are cast there? We are completely tormented by the three types of suffering. Will there ever be a time that we are free? Yes, because once we are freed from ignorance and the rest, at that time we are liberated. Ignorance arises due to our own mistaken perceptions. Therefore, to remedy it we need an unmistaken mind: pure wisdom awareness. What is the actual unmistaken state of mind? It is the pure awareness of transcendent wisdom insight. By discovering and recognizing the meaning of shunyata—selflessness, and meditating upon it with this pure wisdom awareness, we can now and forever expel the demonic ignorance that grasps appearances as truly existent reality. Ignorance grasping appearances as inherently existent is like gloomy darkness and insightful pure wisdom awareness is its exact opposite. The root of what propels us into cyclic existence is the ignorance which grasps appearances as truly existent. If we try to remove that ignorance just by saying prayers, counting mantras, or making prostrations, it will not be dispelled. We must meditate on its direct antidote, the view of emptiness. 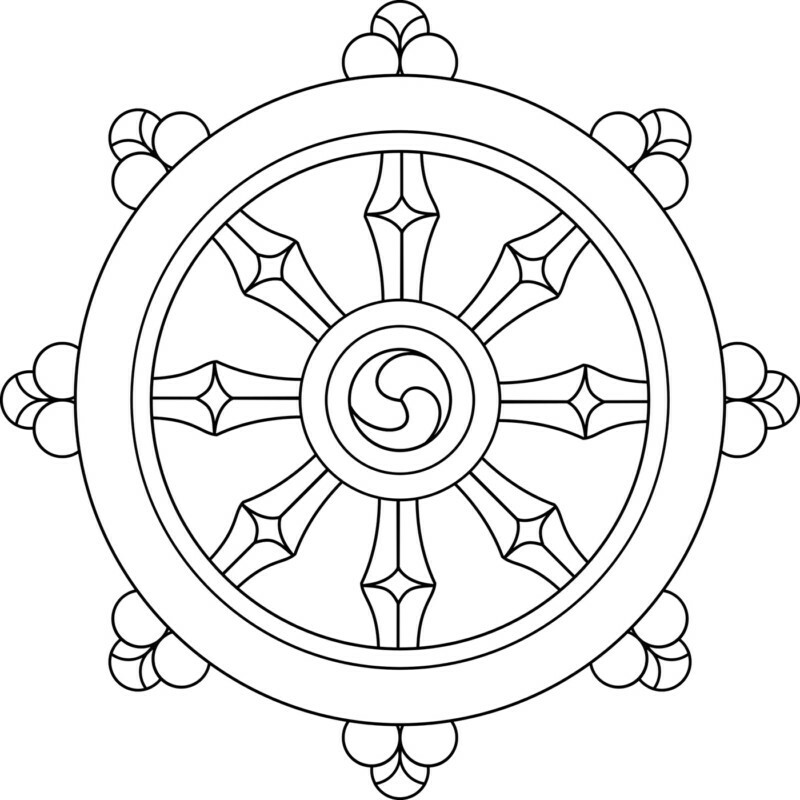 If we meditate on our understanding of emptiness we can finally be liberated from samsara. How are we liberated from samsara? If we can expel that demonic grasping ignorance and the five poisonous delusions that accompany it once and for all, that day we will be liberated. Again, how are we liberated? It is in a manner of antidotes dispelling that which is to be abandoned, like the sun being freed of cloud cover. When are we liberated? When the delusions in our mind are finished we are liberated. What happens when we are liberated? The continuum of suffering of the three realms and bad karma is severed and we attain the unexcelled state of stainless nirvana; we discover the kingdom or eternal happiness. Can ordinary beings be liberated? Whether we are liberated or not depends upon the effort we put forth. If we put effort into practice there is nothing we cannot accomplish. We can definitely attain liberation. Third, as for the results of practicing Dharma, in general, if we are a qualified practitioner of Dharma, we should have two primary objectives; to consider others more important than ourselves, and to consider future lives more important than our present life. Furthermore, although the ultimate result is attainment of Buddhahood, because people have different dispositions and inclinations, they will have different goals and results. The result attained does not depend so much upon the type of Dharma practiced, Hinayana or Mahayana, but upon the motivation of the practitioner, ourselves. Therefore, our motivation plays a crucial role. The best objective of Dharma practice is to attain the state of Buddhahood ourselves in dependence upon a stainless path of Dharma, and to henceforth act for the benefit of sentient beings. We might wonder, could an ordinary, deluded person like myself could accomplish something like that? If we practice with perseverance we will definitely attain Buddhahood. Why? Because Buddhas beyond number have done it in the past. The second result of Dharma practice is that, even before we attain enlightenment, it will definitely protect us from many sufferings and difficulties while we are still wandering in samsara. Tibetan Dharma practitioners transform bad conditions into spiritual paths, transforming sickness, demons, obstruction, hindrance, and misfortune into conditions conducive to enlightenment. The Dharma we are practicing through study and meditation—love, compassion, perception of non-duality, impermanence—will protect us from delusion and suffering in this lifetime, even if we do not attain enlightenment during this life. No matter how many sense pleasures we experience it will not alleviate mental suffering. Buddha said that the wealthy have greater suffering. They have worries, expectations, fears; extreme mental suffering. Mental happiness, however, cannot not only alleviate physical suffering; it can transform it into the spiritual path. An example is tonglen meditation by which vast virtue is easily created in dependence upon misdeeds, suffering, sickness, etc. As for the least result of Dharma practice, even if we do not reach either of the two results mentioned above, our Dharma practice should at least be able to protect us when we encounter extreme hardship. These days many people commit suicide trying to free themselves from such difficulties. It is a great shame if someone who has entered the door of Buddha’s teachings takes their own life. If we now familiarize ourselves with the meaning of impermanence, karma, and so on, it will definitely help our mental state when we eventually meet with hardship. For those of good fortune who seek Liberation!